This seems like a brilliant strategy! 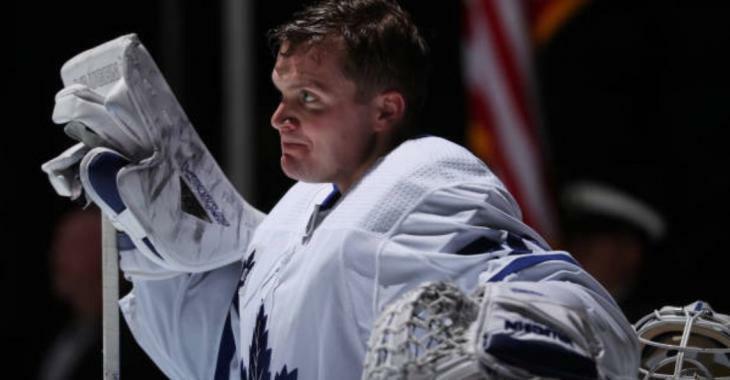 NHL teams had to meet the 23-man roster limit on Tuesday, and because of that, the Toronto Maple Leafs had to waive both netminders Curtis McElhinney and Calvin Pickard on Monday. And both were claimed on Tuesday, the latter making his way to Philadelphia. One thing has become clear for the Philadelphia Flyers: they do not want to be caught like last spring, when they had to make a quick move for Detroit Red Wings' Petz Mrazek at the trade deadline because their goalies were injured. They have intense goaltending depth, to say the least. However, it seems like they might be using this depth to make trades later on this season. Generally speaking, Pickard has a good reputation as an NHL backup. He registered an impressive .932 save percentage over 16 games in 2014-15, and wasn’t much worse in 2015-16, generating a .922 save percentage in 20 games, both seasons with the Colorado Avalanche. With an average career save percentage of .913 in 87 games, and his respectable work with the Toronto Marlies last year, Pickard could be a satisfying addition to the Flyers' roster. Anthony Stolarz and Alex Lyon are also on the Flyers' goaltending depth chart. The latter is unfortunately injured at the moment, but sure impressed a lot of members of the franchise this past spring in the AHL. The good thing for the Flyers, besides the fact they could use a few of these aforementioned players as trade bait, is that goalies are highly unpredictable. GM Ron Hextall has a lot of options and can take the time before the deadline to pick his preferred backup and maybe use the others as trade baits on the market.